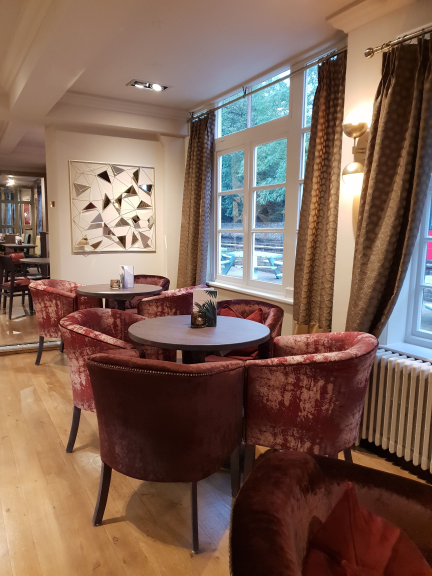 We were very fortunate to be invited to the pre-view evening at the newly refitted Spring Tavern in Ewell. 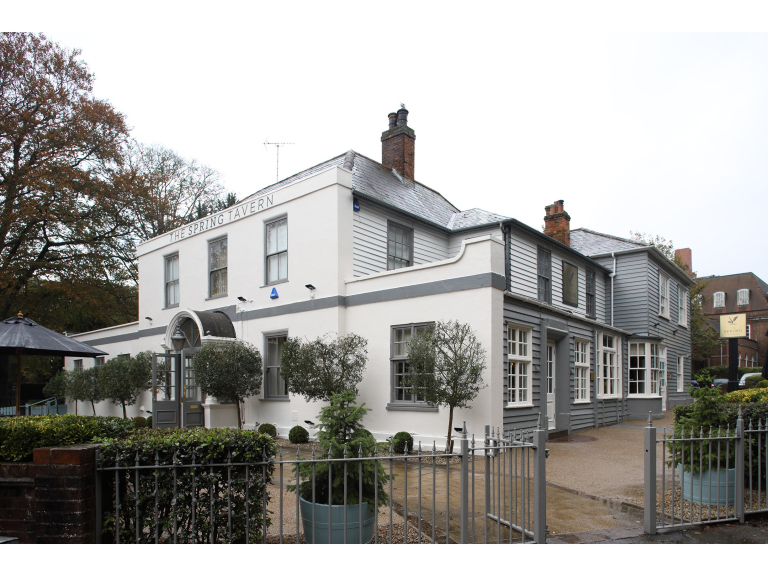 With parts of the building dating back to the 18th century, starting as a farmhouse before becoming an inn, the building is a noticeable landmark in the area. 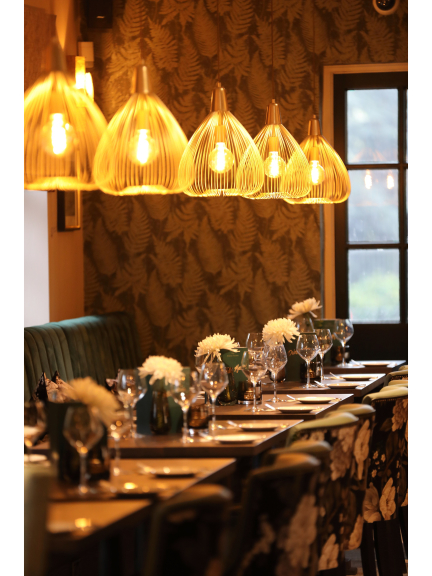 Its latest refit brings it bang up to date with a contemporary décor. 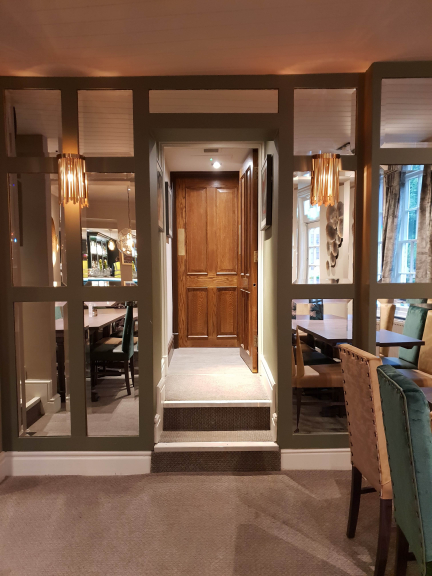 We were very impressed with the new look – contemporary – but also comfortable. The décor moves smoothly around the building, from the bar area with seating, ideal for a chat and maybe a snack. Through to a central area with informal table seating, and then onto the main dining area. 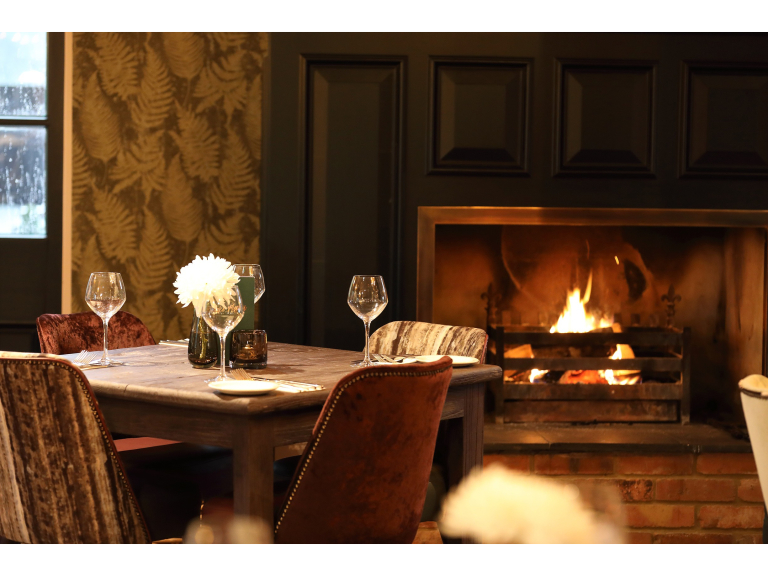 We ate in the main dining room and the log fire gives it a great focus point, whilst the newly fitted wine-wall radiates a lovely glow across the diners – very atmospheric. So depending on how you feel and what you want – you have a choice. The menus offer a good range to choose from, and the food we had (Nigel had the Pork Belly – I had the linguine) was delicious. Generous portions and certainly not stingy with the prawns in my linguine. The menus have all the classic dishes we know and love, and also some exciting new options to try. And – with very reasonable pricing. We also met the chef Alex, and they are very excited by the introduction of a Vegan menu. As veganism and vegetarianism are on the increase The Spring Tavern want to make sure these customers are not forgotten. Yes – it works and with the versatile and flexible menus, you can visit for a light bite or a full feast. 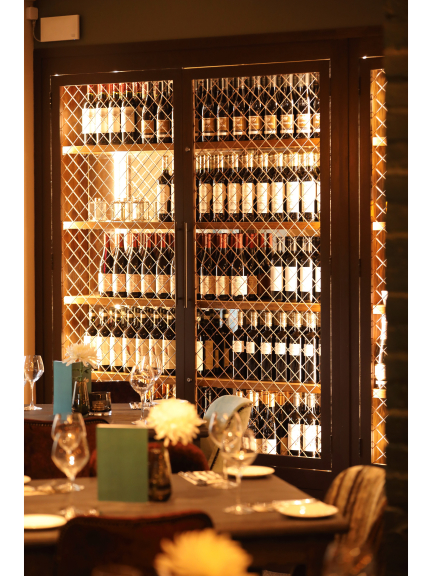 And, very importantly the staff – warm and welcoming – and efficient – everything you could ask for when eating out. We will be going back and would recommend you give it a try.